RFProtectTM software prevents denial-of-service and man-in-the-middle attacks and mitigates over-the-air security threats. You’ll never need to purchase and install separate RF sensors or security appliances if you have an Aruba wireless LAN. 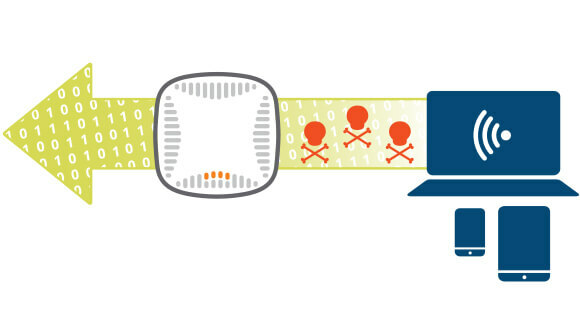 Integrated threat protection with every Aruba WLAN. It’s easy to reduce deployment and management costs by leveraging Aruba access points to simultaneously serve Wi-Fi clients and contain wireless threats with RFProtect. This eliminates the need for expensive overlay IDS systems with dedicated sensors. 24/7 protection against attacks and potential threats. 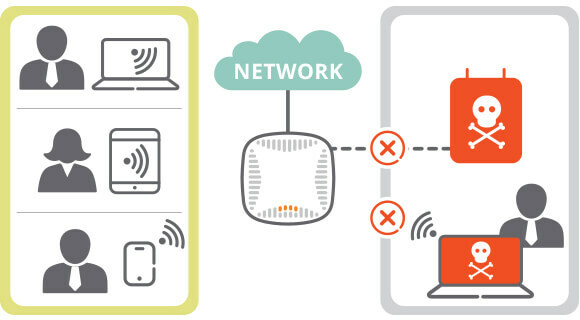 You can protect your entire network against unauthorized Wi-Fi clients and ad hoc networks by continuously scanning the RF environment, centrally evaluating forensic data, actively containing rogue devices, and locking-down device configurations. Automate regulatory and compliance reporting. Compliance reporting and distribution can be easily tailored to fit your unique audit requirements. 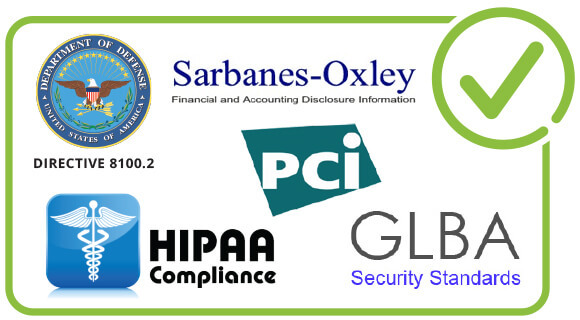 This reduces the time needed to satisfy PCI, HIPAA, DoD 8100.2, GLBA, and other industry compliances as well as internal corporate regulatory mandates.